Christmas means bazaars everywhere! Last Nov 16-17,2013. I had the privilege to be a part of the Holiday bazaar held at the Metrotent,Metrowalk in Ortigas. With Denise,my blogger friend, we share the booth together..and with Ms. Angel's talented son Waxks and his friend. They were playing during the event,awesome band! And ofcourse,my unica hija Pauline and niece Gisella. And here are my dear lovely readers who visited my booth on it's first day..
Ms.Faith Mutia,so bubbly and chic! The pretty organizers Ms.Kat and Ms.Angel. With Mr. Chavit Singson. Some of the online shops that participated the event; Vaintage shoppe, Perfect fit shop and Sweet and Savvy clothing. Mr. Luke Mijares shopping with us! On our day 2, sweet readers visited my booth again! So touched and happy with their presence and gifts as well. Words can't explain how happy I am. :) super thank you! With Ms. Jacqueline,yes we have the same name! haha of Glitzyglamshop.Follow them on IG here! With Ms. Tina,Ms. Monica and Ms,Probinsyanangdonya,sorry I didn't get your name,just your IG. pls. pls. let me know your name sweetie! 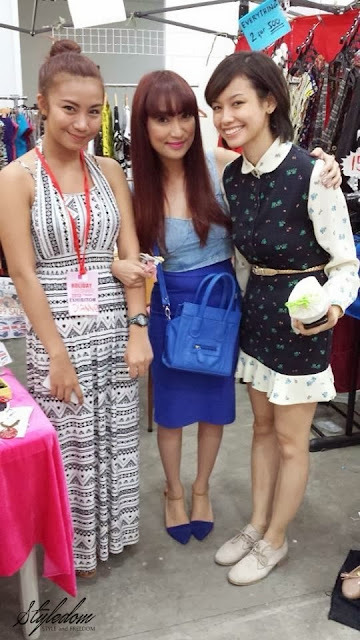 Thank you girls for visiting my booth,I hope I will see you again. 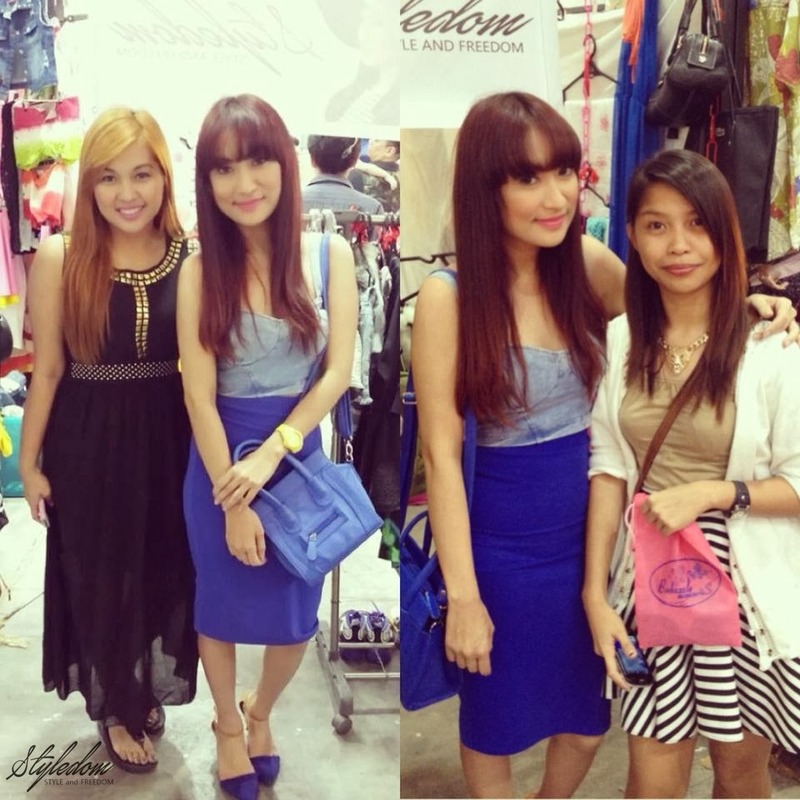 Here are some of your fashion bloggers..Ms.Dianne Dequina is so thoughtful! She gave us a gift..nyawww.. 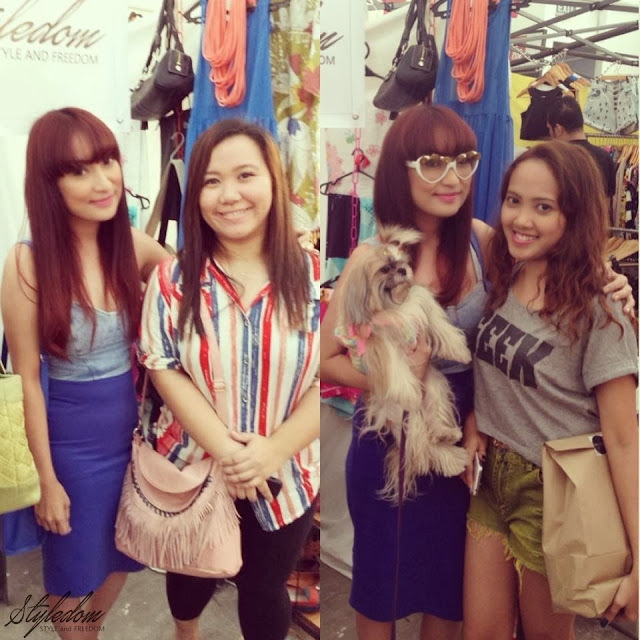 The creative blogger Ms. Bella Morcen. With the pretty ever Ms, Bea Benedicto. And that's a wrap!! We hope to see you again in the Holiday bazaar's 3rd leg! This is going to happen this coming Nov 30 to Dec 1 at the Metrotent,Metrowalk in Ortigas. I do hope we will see each other there!! I'm ecstatic to meet you all. take care and Godbless!